There is a new book on Amazon today, created by yours truly and my collaborator, Barbara Stanzl. 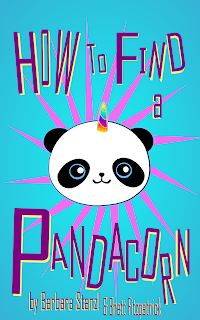 It's called How to Find a Pandacorn. 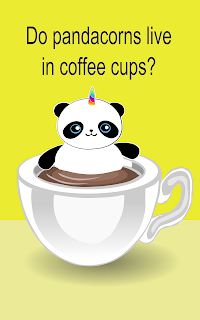 For a long time, we have had this idea about a picture book featuring a pandacorn. Before I continue, apparently, not everyone knows what a pandacorn is, so some explanations might be in order. 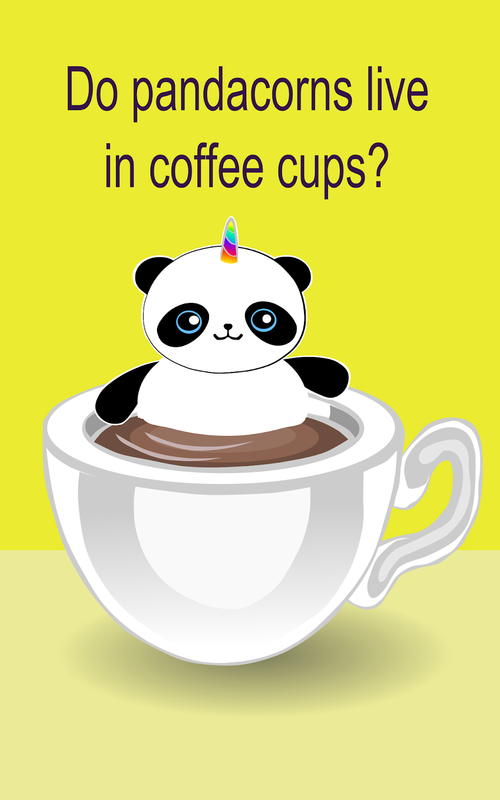 The pandacorn is a mythical creature, similar to a unicorn, but not quite so well established. 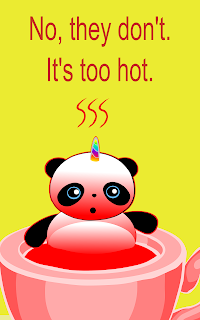 It is half panda and half unicorn - which is where its horn comes from. While the noble unicorn has a page on Wikipedia, the humble pandacorn does not. So, basically, pandacorns are the cute, younger sibling of the grown-up and serious unicorn, and we thought it was likely that kids around the world might wonder how they could have a pandacorn as a pet. You can't just go down to the pet store and buy one, after all. So how do you get yourself a pandacorn? This is the question our book seeks to come up with a solution for, and it does it in an entertaining series of questions and answers. The art is simple and colourful, and the text is very easy to read, meaning pretty much everyone can enjoy it. Like I said, we have been thinking about putting a picture book like this online for a long time, to join all the sci-fi and fantasy books I have written, but we weren't sure how to go about it.We have created lots of images for merch, on Society Six, such as T-shirts featuring a pandacorn in a snowglobe. Then, almost by accident, I happened across a piece of software created by Amazon themselves to allow people to create picture books, the Kindle Kids' Book Creator. It is very, very easy to use, and the output of this app uploaded to Kindle Direct Publishing first time for me. There is one fly in the ointment, however (isn't there always), and that is that the program makes no suggestion about the best size or format for the images to be included in your book. It sort of assumes you somehow know, but I didn't. So, after a little Internet searching, I came across some suggestions that seemed about right to me. From these suggestions, and my own experimentation, I figured out that the images should be PNG files rather than JPG, and they should be quite big. Luckily PNG is the default export format of Inkscape, and GIMP too exports to PNG with no difficulty (so you only have to use one of Adobe's shockingly expensive products if you absolutely feel an irresistible urge to do so). The page dimensions I used in my Inkscape art for How to Find a Pandacorn are 3,840 pixels in length x 2,400 pixels in width. Now, with all the art done, and all the technical details dealt with, the book is live on Amazon. The fact that the book is live is great, and I feel good about it, but I used to work in a bookshop in London, many years ago, so I am all too well aware that the children's picture books market is one of the most cut-throat, competitive, and generally impossible to crack areas of book publishing, and very few books manage to make a mark, or even get noticed. It will be very interesting to see what the sales of our new picture-book eBook will be, but even if they are very low, or even zero, we are already planning the next one. 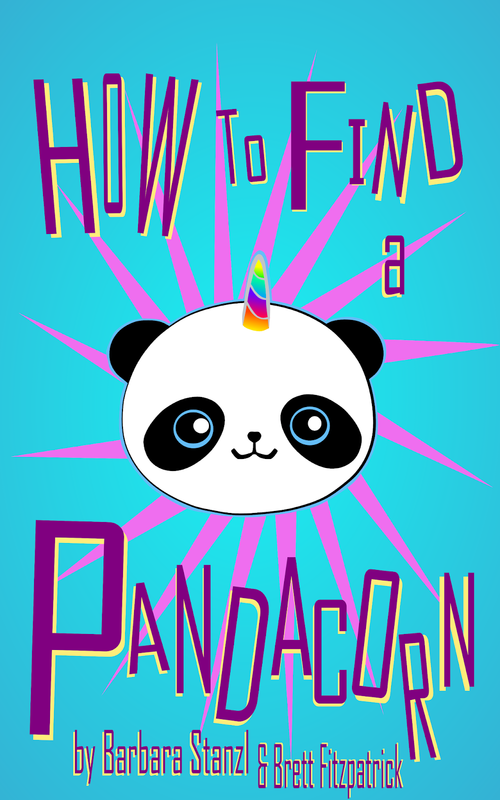 In the mean time, go to Amazon and get hold of How to Find a Pandacorn. It's a lot of fun, and pretty to look at, too.